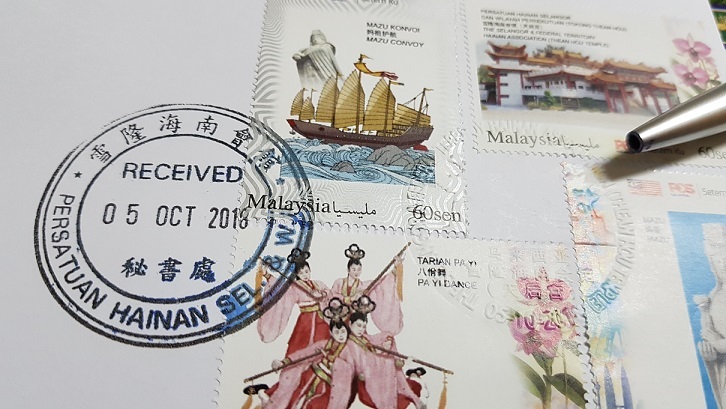 The Selangor and Federal Territory Hainan Association (Thean Hou Temple) was released on 05 October 2018. The orders were open since 14 September 2018. Orders were then opened for collection from 09 – 16 October 2018. 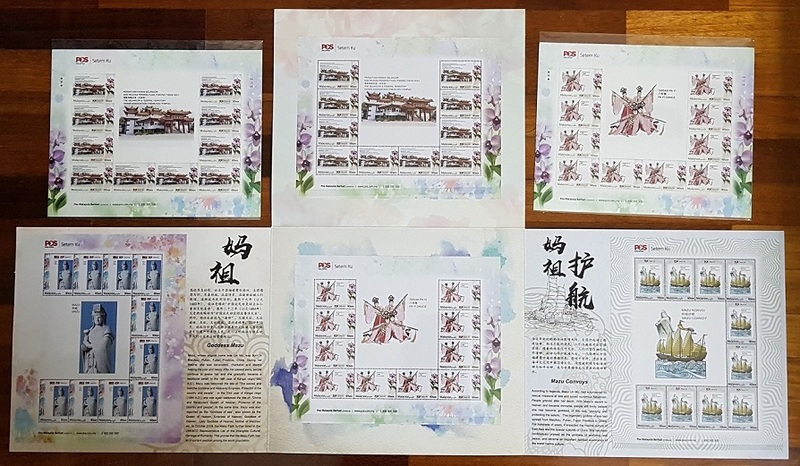 Each set comes with a large hard cardboard folder, a clear plastic with 4 sheets of different Setemku designs and an empty envelope with a set of mint stamps inside the envelope. You are then provided with a corporate seal that is supposed to literally “seal” the stamp with an deep impression with the date of issue creating an embossed “cancellation”! As the embossing is not very visible (even with all my brute strength), I topped up with the received date cancellation which actually looked better. Refer to the picture below where I indicated with the pen. I found that sticking the stamps in a square formation is the easiest way to “cancel” all the stamps with the seal. The Setemku sheets could not fit into the clear holders in the folder. The sheets are larger than the plastic sleeves. The back of the folder provides a tribute to the designer, the late Mr Peter Khang, who has designed a great many issue mainly in the 1990s. 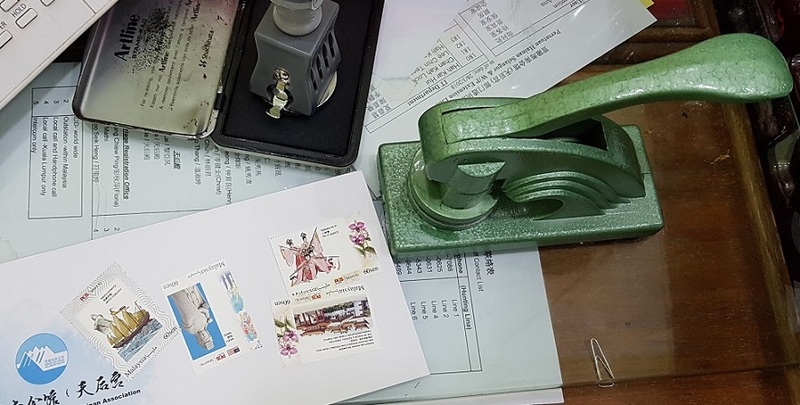 This is the first “seal” first day cancellation in the philatelic history. Since this is a Setemku FDC, it will not be mainstream. 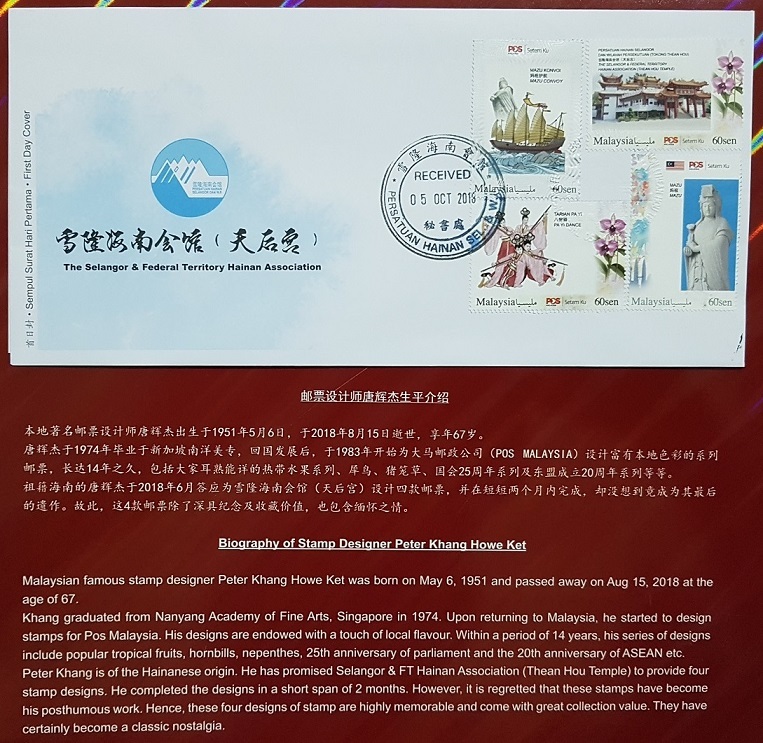 However, it is worth noting that a souvenir cover was issued by Arch with a “seal” cancellation on the hologram Petronas Twin Towers with a wooden bookmark. Further background: The issue price is RM 180. A total of 700 sets were produced. The public orders were about 100 sets. I suppose the rest are by taken up by the association members. I suppose there should be spare stocks. The office is only closed for lunch from 01:00 pm – 02:00 pm, so swing by if you want to pick up a set. I want to order this. How to order? You need to contact the association. They might have stocks left. Check my links for their order form and contact details. Please note: Only self collection.